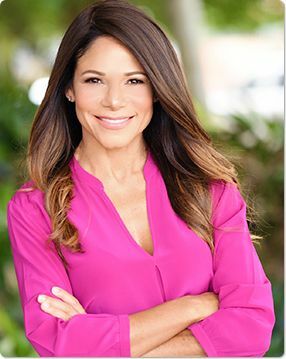 Marlene represents a new breed of real-estate professionals with a great understanding of Miami's culture, neighborhoods, and architectural integrity. She makes it her business to stay on top of the market, monitoring trends, and eyeing investment opportunities throughout Miami-Dade and Broward County. A resident of Miami for over 35 years and fluent in both English and Spanish, Marlene has held a long-lasting passion for real estate and appreciates all that Miami has to offer. Beyond simply finding the right property, she is equipped to advise on everything from pricing and financials to design and decor, neighborhood, cuisine, nightlife and local culture. Possessing a keen eye for design and aesthetics, Marlene is also able to counsel clients on best practices in home staging and reconfiguration to appeal to the widest pool of potential buyers. Marlene’s ability to understand her clients' individual needs makes the process of buying or selling a home that much easier. Hardworking, well organized, discreet, and extremely dedicated she always strives to meet and exceed client expectations. Prior to transitioning into real estate, Marlene worked with ultra-high net worth clients in Miami’s downtown financial district. There she developed a strong business acuity and cultivated a long-lasting professional network of relationships, which she has strategically parlayed into a thriving career. All this has prepared her for the challenging, yet exciting world of high-end, luxury real estate.